Energy “prosumers” (producer-consumers) are choosing to add lithium-ion battery (LiB) energy storage to on-site, “behind the utility meter” solar photovoltaic (PV) systems. Utilities, including municipal electric and electric cooperatives, are increasingly looking to capitalize on the benefits intelligent battery-based energy storage offers as well. A flurry of recent, pro-energy storage regulatory and legislative initiatives has emerged in the US. That, along with falling costs and better performance, is creating a virtuous feedback loop, spurring the launch of battery energy storage and solar-storage integration projects, which help drive costs lower still. Similarly, supportive legislation served as the trigger that has vaulted North Carolina all the way up to #2 in the ranks of US states in terms of installed solar power capacity. Serving 74,000 electricity-consuming member-owners across southeastern North Carolina, Brunswick Electric Membership Corporation’s (EMC) community and residential solar programs are now well established. Joining with “green” energy systems and project developer Cypress Creek Renewables and Lockheed Martin Energy (LM Energy), Brunswick EMC recently commissioned 12 megawatt-hours (MWh) worth of LM Energy’s GridStar LiB energy storage systems integrated with 12 individual solar PV installations. Hailed by supporters as landmark “energy rights” legislation, Colorado recently passed a bill that guarantees and protects residents and businesses’ right to install “behind the meter” energy storage without economic prejudice or discrimination for example. Elsewhere, French multinational EDF recently announced it will invest €8 billion (~$10 billion) to double the amount of battery energy storage it has installed worldwide, from five to 10 GW, by 2035. The enactment of a state-wide Renewable Energy and Energy Efficiency Portfolio Standard in 2007 marked a pivot point and spurred rapid growth of solar energy capacity in North Carolina. A total 4.31 GW of solar power capacity had been installed state-wide as of 2017, with solar generation accounting for 4.42 percent of the state total, according to the US Solar Energy Industries Association (SEIA). That amounts to a lot in the way of opportunities to deploy and integrate LiB energy storage with solar PV systems. 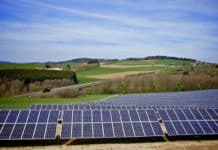 North Carolina has been fertile solar project development ground for Cypress Creek Renewables, which specializes in working with local utilities and communities to design, finance and build mid-sized solar PV systems (2-25 MW) that it owns and operates. The LiB-solar integration project for Brunswick EMC was the first developed, built, financed and commissioned by the Santa Monica, Calif.-based corporation, however. If all goes as planned, it won’t be the last. “We are approaching a point where many newly originated solar projects will become solar-plus-storage by default,” Brian Knowles, Cypress Creek Renewables’ director of energy storage, was quoted in a press release. “Cypress Creek Renewables is proud to collaborate with Lockheed Martin and URE (United Renewable Energy) to provide Brunswick EMC with a dynamic solar product that is able to respond to changing conditions on the grid or in energy markets.” Cypress Creek acquired the projects from URE, the original developer. Energy storage is key to unlocking the true potential of renewable energy generation. – added Roger Flanagan, a Lockheed Martin director. Compact and containerized, it has been getting easier, and cheaper, to deploy intelligent, battery-based energy storage capacity, and do so on a modular basis suitable and scalable for any particular end user’s needs, be it a residential, commercial, industrial or municipal property, or a utility grid. Lockheed Martin Energy’s GridStar system can be installed with capacities from 100 kilowatts (kW) to multiple megawatts, for instance. Integrating LiB with solar PV systems smooths out the variable electricity production of the latter, dispatching electrical energy as it’s needed, or storing it for later use. Real-time, digital software control and data acquisition (SCADA) capabilities, coupled with smart, network-connected distribution infrastructure, is the key element that makes for a solar-storage system that functions as expected. Enhancing solar-storage systems performance further, LiB energy storage and microgrid systems developers have been incorporating and refining predictive analytics capabilities that make use of machine learning and artificial intelligence algorithms. “Flexibility is one of the key factors motivating the decision to pursue more solar-plus-storage projects,” Knowles told Solar Magazine. “Having a renewable energy project that can respond to changing conditions on the grid or in an energy market is extremely powerful and allows for a more competitive product for our utility partners,” he explained in an interview. Lockheed Martin Energy introduced its GridStar Lithium product in 2016, but the company’s energy storage work, and patents, date back some 60 years, explained Jennifer Burke, manager of energy storage marketing and strategy for the business unit. “This was a unique project in that it involved 12 system installations all at once,” she noted. 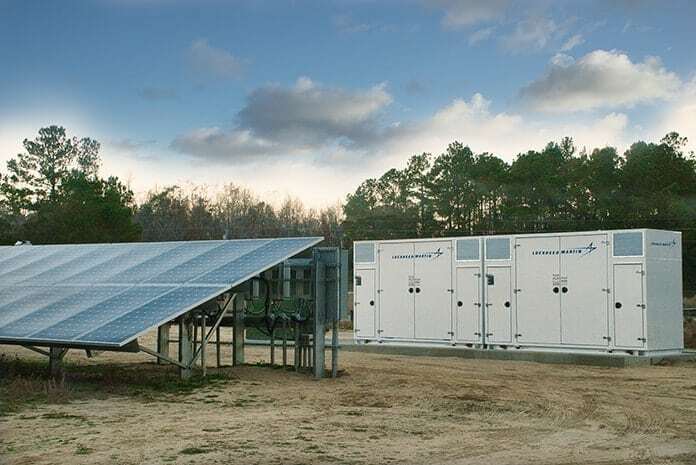 Lockheed Martin Energy initially had gotten involved in Brunswick EMC’s energy storage-solar integration project when United Renewable Energy (URE) began developing the project. Cypress Creek Renewables then acquired the project and picked up where URE left off. When it comes to the GridStar Lithium energy storage system Lockheed Martin Energy’s strategic and marketing focus is set squarely on delivering solutions for utilities, independent power producers and project developers. That extends from grid-scale energy storage systems down in scale through the mid-tier segments of the market, Burke said. That might include anything from commercial or industrial companies to cities, municipalities, universities or the military. Lockheed Martin Energy leaves it up to its customers to decide if they want to publicly announce or disclose information regarding projects. Some of the LiB systems projects it has participated in haven’t come to light publicly as a result. Burke did point out that Lockheed Martin Energy recently delivered an 8.5 MWh GridStar Lithium energy storage system to Convergent Energy + Power, an energy storage project developer. The system is for a behind-the-meter project in Ontario, Canada. “We have many others in the pipeline, covering a range of applications, from solar-storage integration to demand charge reduction,” Burke said. What’s driving energy storage and solar-storage integration? 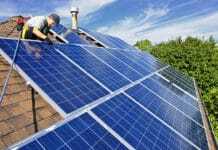 Both Cypress and Lockheed Martin Energy see more solar-storage integration project launches taking place in the near future. 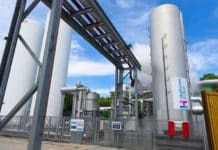 “We have many lithium-ion battery energy storage projects under way at the moment and we’re developing a long-duration flow battery that we think will be particularly well suited to integration with solar,” Burke said. 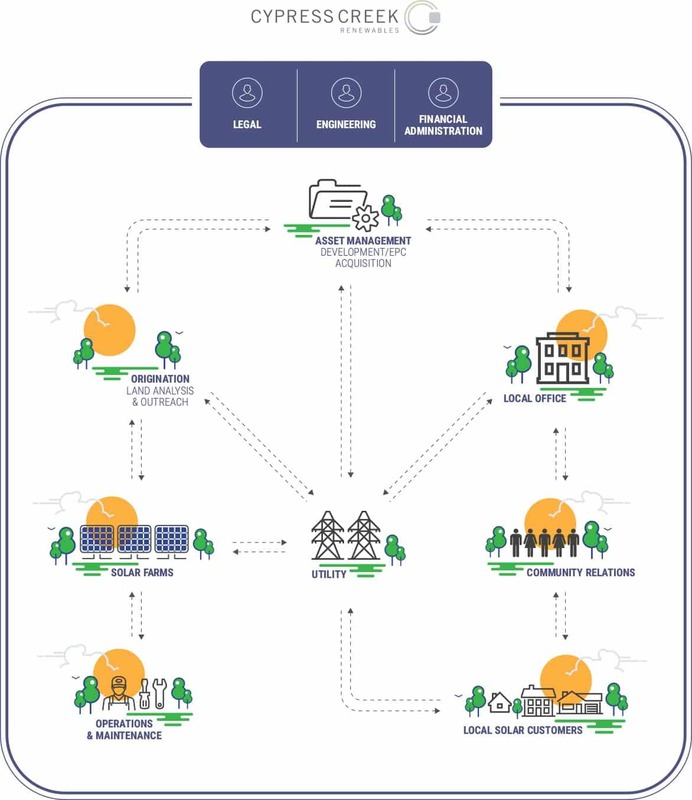 Several key developments and elements are driving local utilities to consider deploying intelligent LiB systems, and integrating them with solar PV generation, Knowles explained. I think it’s really the confluence of declining solar and battery costs as well as advancements in smart inverter technology and remote monitoring and control systems (Internet of Things) that has enabled distributed solar-plus-storage projects to become a reality. With all of these elements in hand, it becomes a matter of finding the places on the grid to install the systems and the right partners who can benefit from them.